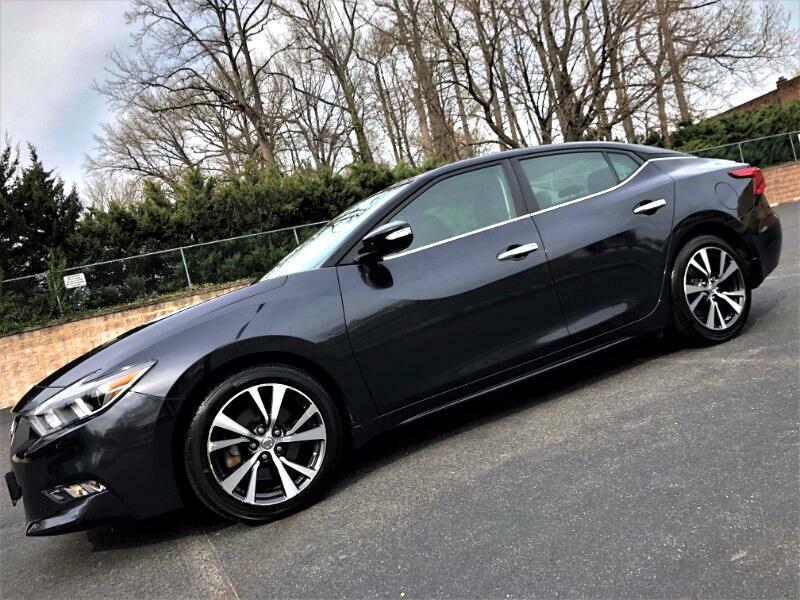 2016 Nissan Maxima SL with only 17,524 Miles. Great on Gas with ratings of 22 City/30 Highway MPG. Great drive-ability with 300 Horsepower and equipped with countless technological and luxurious options. Full Glass Panoramic Sunroof/Moon-roof, Adaptive Cruise Control, Leather Seats, Heated Seats, Heated Steering Wheel, Remote Key-less Start, Navigation System, , Blind Spot Monitor, Cross Traffic Alert, Backup Camera, Bose Premium Sound System, HD Radio, Bluetooth, Streaming Bluetooth Audio, USB Port, Aux Port, SD Card Reader, Heated Side-View Mirrors, Adaptive Headlights, Led Daytime Running Lights, LED Taillight Cluster, Fog Lights and more. Nissan’s remainder of Drivetrain/Powertrain Warranty until of April of 2021 or 60k miles. Nissan's remainder of Emissions Warranty until of April of 2024 or 80k miles.